The FPS genre is a seemingly simple one to master. Be on map. See enemy. Point weapon at enemy. Make enemy fall down. Those are the basics. Then there's the more granular details: map knowledge and control, aim sensitivity, weapon meta, class balance and distribution, and a laundry list of other factors to consider. And while fall 2018 brings with it a slew of FPS titles vying for your attention, we're going to focus on two of the big ones. Perhaps the biggest ones: Battlefield 5 and Call of Duty: Black Ops 4. 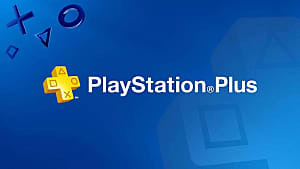 Things are different this year because both series are pushing new iterations they hope will shake up play and bring in new blood. 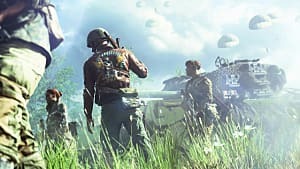 Battlefield 5 is mixing up how classes function, upping the overall lethality of their weapons, and speeding up the rest of overall play. Black Ops 4 slows down the time to kill and they've removed health regeneration, but through some kind of space magic (tighter maps, on-the-fly healing, and high-powered weapons), the overall pace isn't just the same: it's faster. How, then, to succeed in an altered landscape if you're an established player? I'm glad you asked. Below are some tips and strategies you can use to take both games by storm when they release this fall. 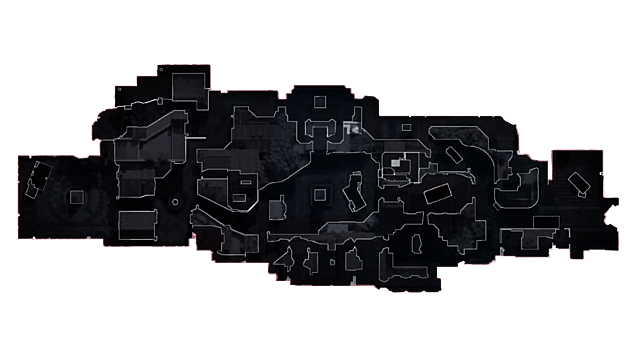 Let's talk some core concepts that any competitive FPS player should have down to a science: aim recentering and map awareness. First, let's look at some expert tips on how to aim like a pro in both games. Empty the magazine, then pull your aim back down to where you'll be shooting in 95% of your engagements. Once you're comfortable, start using less ammo to learn progressively smaller recoil patterns. Next, start moving side to side, but try to keep the recoil the same. For a different kind of challenge, don't shoot at all. Instead, try to keep your crosshairs in the same spot no matter what you do. 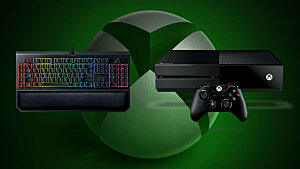 Jump, strafe, go prone. Whatever your character's capable of, see if you can keep your aim steady. It doesn't take as much time as you might think to get it right. The second thing to pin down is your knowledge of the maps in your chosen game. 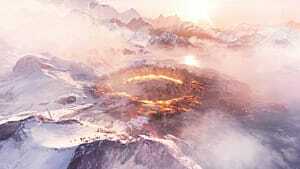 This tip is harder for Battlefield because of the size of each map, but it's valuable no matter what kind of shooter you play. Go into a private match or an empty server, load in, and just start exploring. Give yourself infinite ammo and grenades/abilities if you can. As you wander around. Make a mental note of where the major chokepoints are and try to predict where the majority of engagements will take place. Ask yourself: Where are the power positions, how long does it take me to get to the middle of the map, what kinds of alternate routes are there, what can I shoot through, and so on. While time-consuming depending on map size and count, I think it's preferable than going in completely blind. 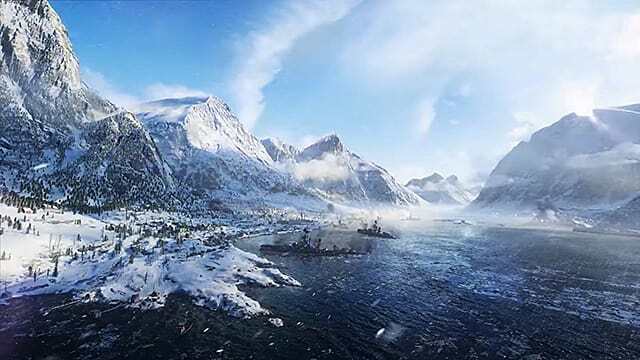 Battlefield 5 is built on the back of its classes, and each class has two primary facets: speed and utility. The former is fairly straightforward, as it describes the play speed of the class. The second is more complicated, but it essentially boils it down to, "How much does this class offer the overall team?" You have to understand both concepts to understand how best to play each class. Below is a summary of which class is best for what kind of player and how you can be successful in each. Assault is always the bread and butter class in any engagement. Assault is fast and hits hard but crumbles like a ton of bricks without proper support. Their primary advantage is in speed, though they are somewhat lacking in utility. Who this class is for: The rusher and the action hero. What the class offers: Unmatched overall firepower and deadliness to both infantry and vehicles. Where the class excels: Dealing as much damage as possible in the shortest amount of time to the highest number of enemies. Where the class is weakest: Team-play. The Assault offers vehicle and infantry control, but without teammates of other classes to resupply, heal, and provide cover fire, they fall short. Medic is everyone's best friend. The Medic ensures everyone on the team can take a hundred bullets and still fight. Light on overall speed but high in utility, the medic is a good introductory class for new players, even if they've played other shooters. Who this class is for: The new player or those who want a slower, more tactical approach. What the class offers: The ability to keep entire squads in the fight, make important plays from a medium distance, and act as an anchor for the next push. Where the class excels: Mid-range support when moving between objectives and the ability to ensure overwhelming numbers during the next big push. Where the class is weakest: Close quarters. Single-shot rifles with a limited magazine mean only one or two fights between each reload. A constant stream of health is nice to have, but it won't help if you've got no bullets. Support is everyone's other best friend. Without a support, somebody's running out of ammo at the worst possible time. The Support is fairly balanced, offering a healthy mix of speed and utility without sacrificing lethality. Who this class is for: The Rambo who wants a big gun and enough bullets to fill a Sherman tank. What the class offers: The ability to keep entire armies stocked with ammunition so the fighting never stops, plus powerful, if sluggish, weaponry that packs a wallop. Where the class excels: Holding down a position for what can seem like an eternity or working alongside a medic for maximum entrenchment and attack. Combine their powerful weaponry with a bi-pod and they can even compete with some sniper rifles for overall damage output. Where the class is weakest: Close and extreme range. The weapons on offer fire slower than the assault's, and while they deal more damage, the longer TTK can be a hindrance. At longer ranges, the recoil bounce when not in a bi-pod poses a challenge, and without the zoom of a scope, the longest ranges are all but out of reach. The Scout is the most polarizing class in Battlefield. The Scout acts as a force multiplier, eliminating targets from long distance in one shot if the player has good aim. The Scout lacks both speed and overall utility, instead favoring vital, if sometimes momentary, support when it's needed most. Who this class is for: The precision player who enjoys the satisfaction of the one-shot, one-kill mantra while also providing the team with intel on enemy positions. What the class offers: The ability to create space for close-range classes and let allies know where their foes are before it's too late. Where the class excels: Medium- to long-range. Unless your aim ranks among the top players currently playing an FPS, you'll want to stay at least at middle ranges. There, however, the Scout is an unmatched damage dealer and intel relay. Even non-lethal body shots and a well-placed flare can open up entire objectives. Where the class is weakest: Close range and sustained firefights. Even the best shot in the world can't get around a sniper rifle's need to cycle the bolt -- and the fact you only have five bullets before reloading. And that a single squad spawn could ruin your entire day. Finally, though classes are the heart of the Battlefield experience, they only define what a player can do, not how they go about playing. That means strategy is the lifeblood of Battlefield 5, and for flag-based game modes, the most important tactic is, of course, taking flags. You will find, no matter how good you are, the enemy will eventually be better, and they'll have every objective on the map, leaving you and your team with only your initial spawn as a staging area. It can seem like an impossible situation. One of the oldest and best ways to break a complete spawn trap is not to assault your initial capture point with everyone you have. Likely the enemy team is already there, entrenched and ready to tear your team a new one. Instead, use one of the faster vehicles often readily available in your spawn and drive all the way to the opposing spawn flag. You'll have to withstand a few pockets of resistance as some of the enemies spawn to prevent a back-cap, but do that and your team has an open door where most of your opponents can't see them. You'll need to depend on your teammates at this point as you and they make a pincer attack, closing in on the enemy from either side. And believe me, I hear your collective sigh about "Battlefield teammates," but there's only so much a single person or squad of four can accomplish on a team of 64. Now, on to Black Ops 4. 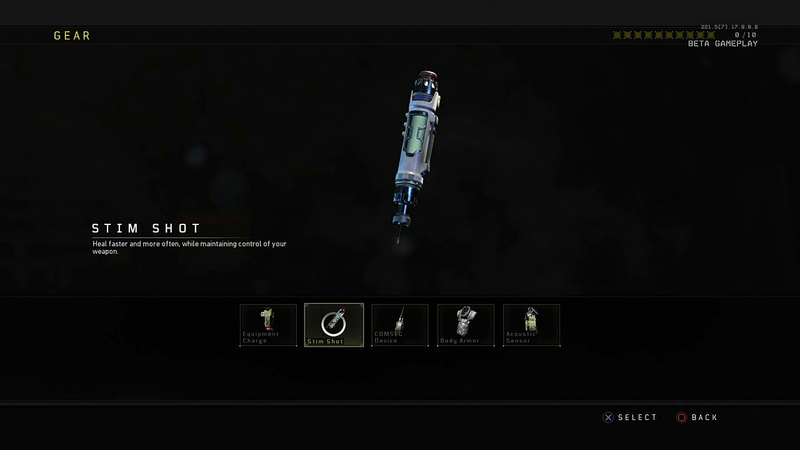 You already know about the two major shakeups to the formula in Black Ops 4: no health regeneration and a higher overall health pool. With that in mind, how does the game feel like Call of Duty? There are two primary factors that counterbalance a longer time to kill and no automatic healing: weapon handling and more close-range encounters. 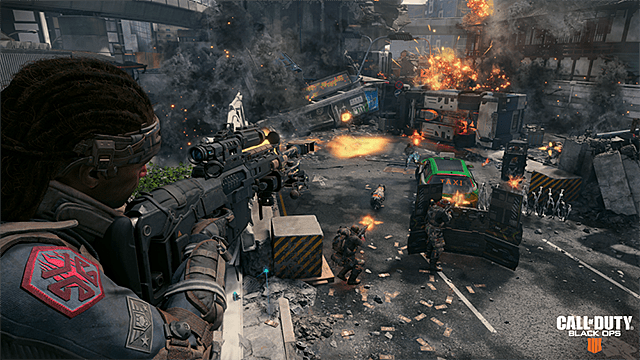 When it comes to weapon handling, the vast majority of weapons in Black Ops 4 are much easier to control than their counterparts in previous games. SMGs and ARs are more laser-like than they've been in a long time, and while they still pack plenty of recoil at the edge of their effective rage — not to mention the damage drop off — if you're fighting where you should be with each weapon type, controlling them and getting kills is much more consistent. 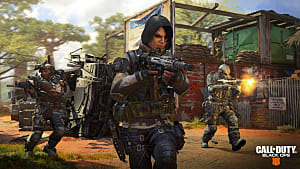 Second, Black Ops 4's maps are tighter and more conducive to close-range encounters. 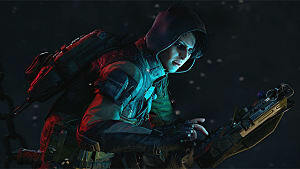 The three-lane style Treyarch won't give up on remains intact, but they made sure to break up each lane in enough ways to keep engagements from approaching point blank. They even littered the longest sightlines with debris and other kinds of cover so players without a good ranged weapon can still succeed. The first thing you need to know is which route you'll be taking as the map opens. At the beginning of a round, both teams have a limited number of options as to how they get to the middle of the map to start the fighting. The team that secures their side's power positions first is usually the team that gets the early advantage. That said, you'll find that 95% of all matches will start out the same. Two or three players will head to the middle where they'll want to hold down the important sightlines. One player will likely try to flank using one of the two main options available. With this knowledge, there's really only one opponent you have to really think about: account for the guy who has to choose. It's not the hardest call to make. Your best bet at the beginning of most matches is to flank. You know there will be at least one opponent to deal with, and your primary concern is which flanking route the other team took. Be prepared for at least one fight and expect a second. Provided you win, you have an open door into your enemy's backline, and barring any colossal mistake on your part, a couple of free kills. Remember: only 95% of matches start the same. The remaining 5% happen when you're facing a coordinated team or a few top-tier players. The latter are especially troublesome because they're unpredictable, know everything already discussed, and will be talking about the tactics below. These guys make plays few average players believe possible. Countering them is possible, just not at the beginning of a match. When facing high-skill players, you have to feel out how they work and develop strategies on the fly, as each group of them has a different way to dominate the battlespace. There are a couple options when it comes to healing in Black Ops 4. One is Stim, a quick heal with an even quicker recharge that also allows you to keep your gun up as your health regenerates. 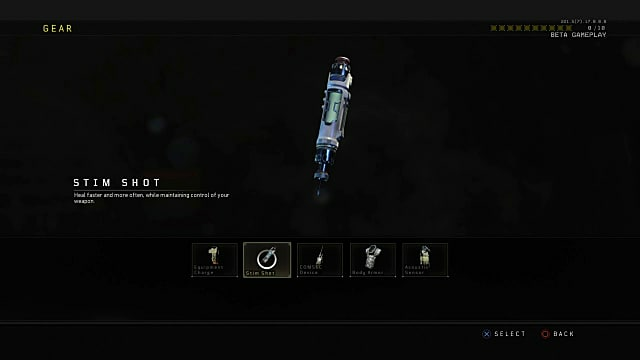 For new players and players who want to stay in the fight as much as possible, Stim is almost always the way to go. Be mindful, however: Stim doesn't regen health any faster than the standard heal does; it merely comes up faster and is quicker to use. If a fight reduces you to just a few HP and the next guy you face is at 100%, you should still duck for cover. Using Stim allows for a faster pace to your game and creates opportunities for plays impossible without it. The first strategy for optimal Stim usage is simple: one fight, one heal. A quick sidestep to safety lets you stay close to the action without putting yourself at undue risk. 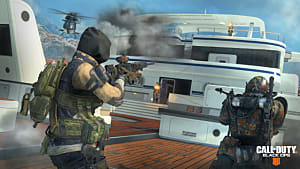 The second strategy is using Stim in the middle of a firefight. 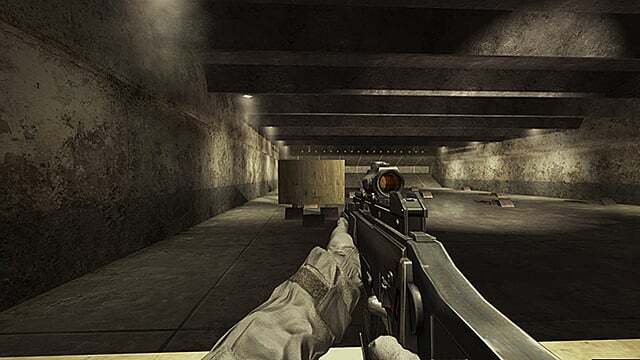 You'll lose the inherent accuracy of aiming down your sights, but combine solid strafing and evasion and your health will come back faster than the enemy can take it down, all but ensuring a kill. But what if you're using some of the other powerful equipment? Simple: use the map to your advantage. Though the default heal is slow, you can still stay in the action so long as you play smart. After winning a gunfight, take cover. Treyarch loves to put chest high somethings at every corner. Use them. There are also plenty of other convenient ways to get out of the line of fire: jump into the water, go through a doorway, run behind a teammate, and so on. 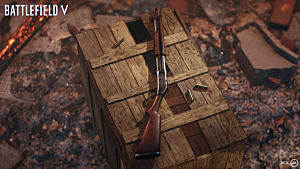 Your main issue will be facing three seconds without the ability to use your gun. 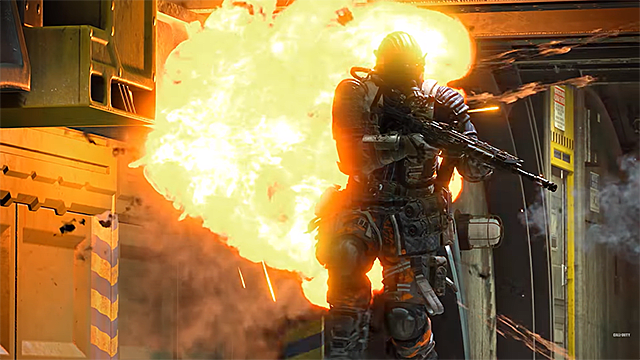 In Black Ops 4, you may have two or fewer seconds before your next enemy appears. Use vulnerability as bait. As everyone can see everyone's remaining health, being in the red is a risk-reward proposition. Provided you aren't in the middle of a large field, see if you can pull a greedy enemy out of position. If you force him to back off after seeing through your ruse, you or your teammates now have a few extra seconds to work. The maps available during the last beta had one glaring issue: there wasn't a lot of open air for fights to happen in, so airborne scorestreaks weren't quite as effective. That isn't a bad thing. While the gunship is incredibly satisfying to use, especially if you have the other team spawn trapped, it won't do much if they've got a roof to cover their heads. Instead, focus on the tried and true combination of UAV and Counter UAV. The Fog of War mechanic might make UAV less important than it was in previous Call of Duty titles, but it isn't the end all be all of minimap control. The standard UAV opens up the whole map, so even foes outside the Fog of War are easy for your whole team to spot. The Counter UAV robs your enemy of both Fog of War and the basic knowledge of where their own teammates are, leaving them to guess where their friends are falling and forcing them to rely on sound and skulls to navigate. If nothing else, this combination all but guarantees continued points toward your next streak, as every kill with either or both in the sky gives 25 of the things, and that can add up quickly. Pair your minimap control with one of three other streaks: Hellstorm, Lightning Strike, or Strike Team. Both Hellstorm and Lightning Strike give you much more control about where and how to use them, avoiding roofs and other forms of cover from the equation entirely. Strike Team, though tougher to get, isn't bound by anything except the strength of the AI, so it's usually a reliable three or four additional kills. If some maps in the full game have an open sky, don't be afraid to run Strafe Run, Helicopter, or Gunship. Just one of these can net you at least four or five kills with a good usage, and more if you and your team can control the enemy spawns. 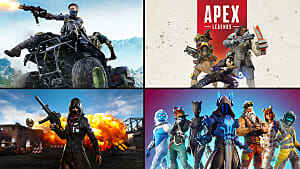 Which Game Should I Buy? Black Ops 4 or Battlefield 5? The final question you should ask yourself when it comes to Black Ops 4 and Battlefield 5 is: which should I spend my money on? That comes down to your preference, and the summaries below hopefully help you decide. More a war zone than an isolated scuffle, Battlefield games are all about the grandness of, well, the battlefield. Matches take far longer than most other FPS games and you'll spend a lot of time traveling from place to place. DICE placed more emphasis on quicker pacing in their latest outing, but you'll still be spending at least a half hour on most rounds. It's also far more difficult to control the outcome of a match without a team backing you up. As fast-paced as ever and now featuring 5v5 matches, never before has it been so available for a single, highly-skilled player to dominate a Call of Duty lobby. With new tactical choices and maps focused on close-up engagements and lightning-fast combat, it's the same formula that's worked for more than a decade with a fresh coat of paint and some nice new adornments. Regardless of your choice, 2018 is a great year for games and especially for first-person-shooters. 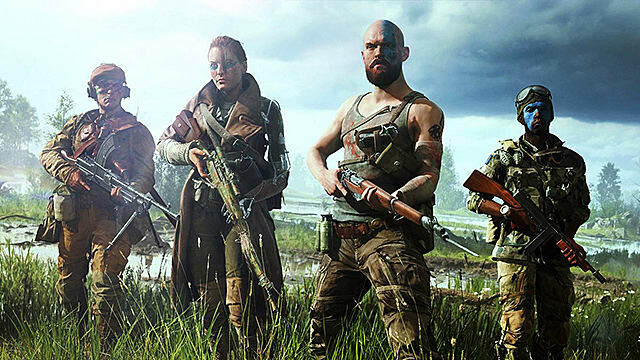 Call of Duty: Black Ops 4 wants to dominate the market once again, and Battlefield 5 is aiming higher than the series ever has. 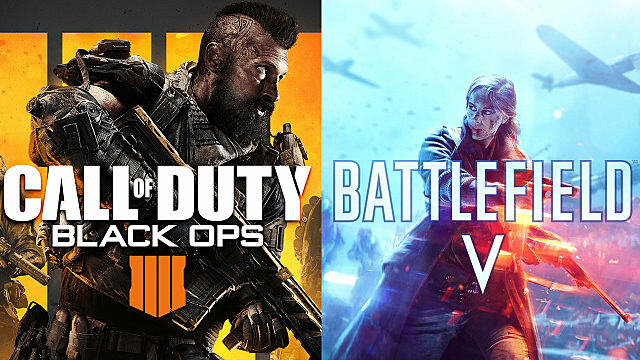 Both are getting their own battle royale mode, and we'll be covering Blackout when it releases. Stay tuned to GameSkinny for all everything you'll need to improve your skills this season.